The patented Koala from Travel Chair sets up intuitively and is worth every second. 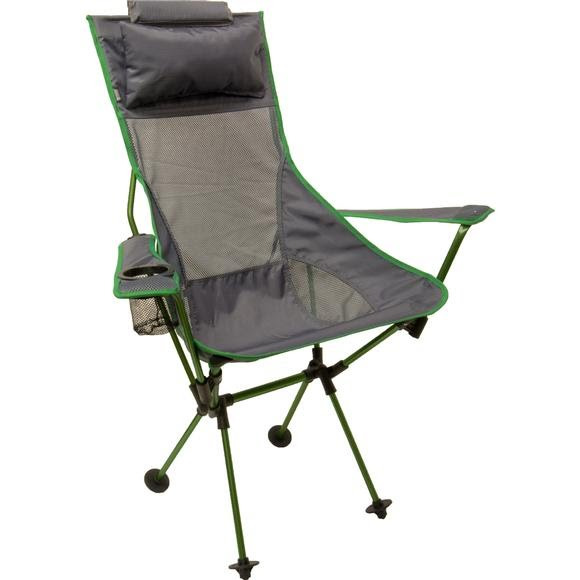 This extra tall backrest is perfect for kicking back and the adjustable pillow takes comfort to a whole new level. Measurements 22" x 35" x 42", Closed: 19" x 9" x 7", Seat height: 19.5"